I’ve never been a huge fan of the word diet. It just sounds so boring and restrictive. Now I don’t know about you, but lack of food choice and freedom is not something I’m after. You don’t need to compromise on taste and eat boring salads all day; you’re not a rabbit after all. 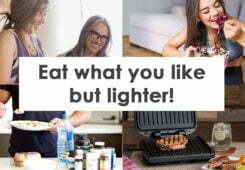 A few simple lifestyle and dietary changes can help cut out the excess and unwanted fat, meaning you can still eat the food you like, just the lighter version. We’ve put together a list featuring a few of our favourite handy kitchen gadgets, which can help us do just that – all without breaking the bank. Like me, I’m sure many of you have made the pledge that starting January 1st, you’ll ditch the chocolates, put down the alcohol, and buy that gym membership you’ve been avoiding for so long. 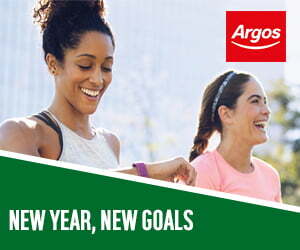 This is it, the first day of a healthier and more active you. Roll forward two months and that gym membership starts to gather dust as life gets in the way. 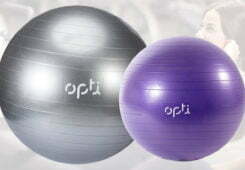 Maybe the gym is too crowded, too expensive or too much of an inconvenience to get to on a regular basis. Maybe the darker and colder evenings just aren’t your thing, or maybe you’ve got a family and the gym just isn’t a priority. The perfect combination of a brand and performance. 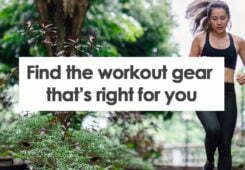 Reebok being one of the biggest sports brands globally gives you that reassurance of build quality and features. 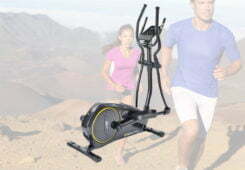 Why the choice of the ZR7 over the Reebok Jet 100 or Gt30? Because right now it’s at the lowest price that it’s ever been. 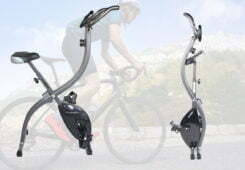 If you are looking for a good home workout and have limited space, then the Roger Black Folding bike could be a great choice for you. 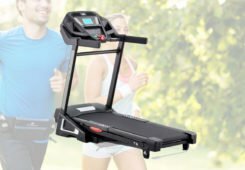 It is heavy duty for stability and durability, has 8 levels of tension control, easy to read display settings and best of all, can be folded down to store in a small space. 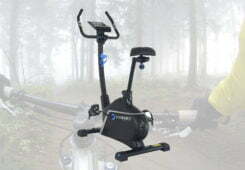 Despite being the cheapest Roger Black bike model, it definitely doesn’t fall down in features and quality, so for anyone on a budget that fancies a low to medium workout at home, then you should consider this Roger Black Folding Exercise Bike. 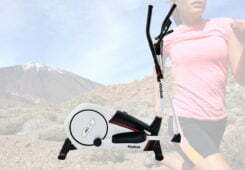 A moderate rowing machine that will suit those on a budget, but may leave serious fitness users a little less than satisfied. A simple setup based on a hydraulic pump as resistance. No delivery was required for the Opti Manual rowing machine , its weight was only around 15kg’s and the packaging would be easy for the majority of people to carry back to their car without any help. There is some assembly required, bolting the base, seat and hydraulic handle system takes up the majority of time. The process took around 25 minutes from start to finish and our rowing machine was complete. 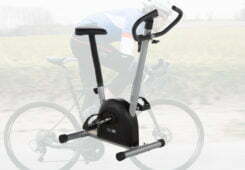 If you are looking for an exercise bike on a budget then they don’t come any cheaper than the latest model from Opti. 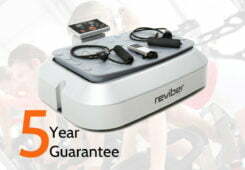 It may have moderate build quality and simple functions but they have done a great job at introducing an exercise bike to those who are potentially new to exercising at home. 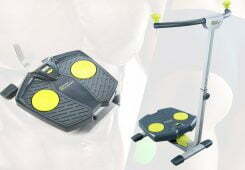 Quite simply the Roger Black Gold exercise bike is a machine that offers a lot of bang for your buck. 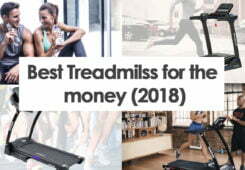 What I really like about the setup is that it is not over complicated for the average user and delivers all the requirements you would expect from an exercise bike.